Are those real wood floors—or tile that looks like real wood? These days, thanks to high-tech imagery, you might have to touch it to know for sure. Wood-look tiles can even mimic the appearance of hand-scraped wood, including delicate veining and texture. If you’re remodeling or building a new home, consider wood-grain tile from St. Louis Tile to warm up your interior space. It’s a great way to get the look and coziness of real wood without the upkeep. St. Louis Tile Designer Tip: Select a grout color that closely resembles the darkest shade in your tile. This visually tricks the eye into thinking it’s shading in the wood. Woodgrain ceramic and porcelain tile are scratchproof, water-resistant, customizable, durable, and sustainable. Plus, it’s extremely kid and pet-friendly and resists spills and stains—always a bonus! Shades of pale gray, oak, or deep walnut easily accommodate every design style. For open-concept homes, you won’t need transitions between rooms like you would with real wood. This enhances the overall feeling of a single expansive space. Wood-look tiles are also lovely in smaller homes – the choice of a single style throughout will make your home feel even homier. Versatility. Perfect for a bathroom or kitchen; for floors and walls. Install it in entryways or living rooms, and also on outdoor patios and walkways. For outdoor spaces, select a wood-look porcelain tile with better texture for less slippage. Check your tile’s water-permeable rating to make sure it will stand the test of time for outdoor elements. Sustainability. Sleep a little easier knowing, “No trees were harmed in the making of this wood-look tile.” With billions of trees lost each year, every little bit helps. Get the look of splendid rare hardwoods without harming a single tree. Go a little greener. Make wood-grain tiles your personal go-to. Durability. 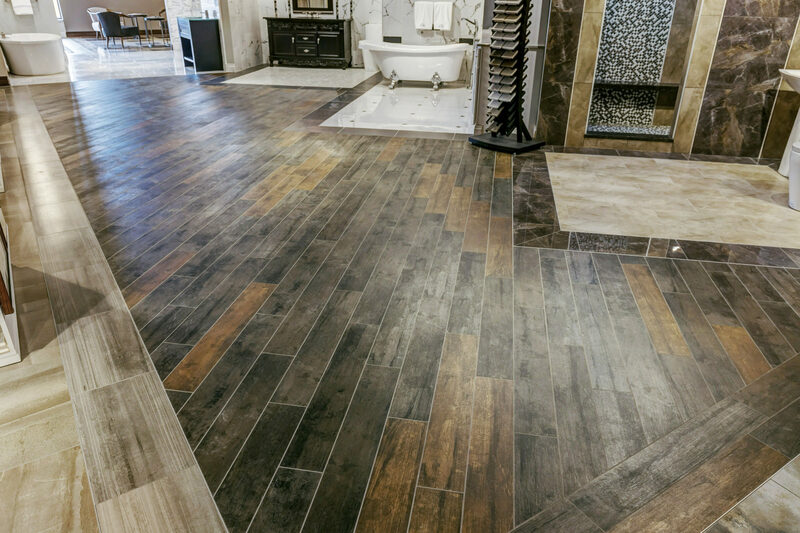 Wood-grain porcelain tiles are nearly indestructible and stand up well to foot traffic. Try wood-look ceramic tiles for walls to make your home feel farmhouse friendly. Check the ratings for porcelain and ceramic tiles as some may be used for either application. 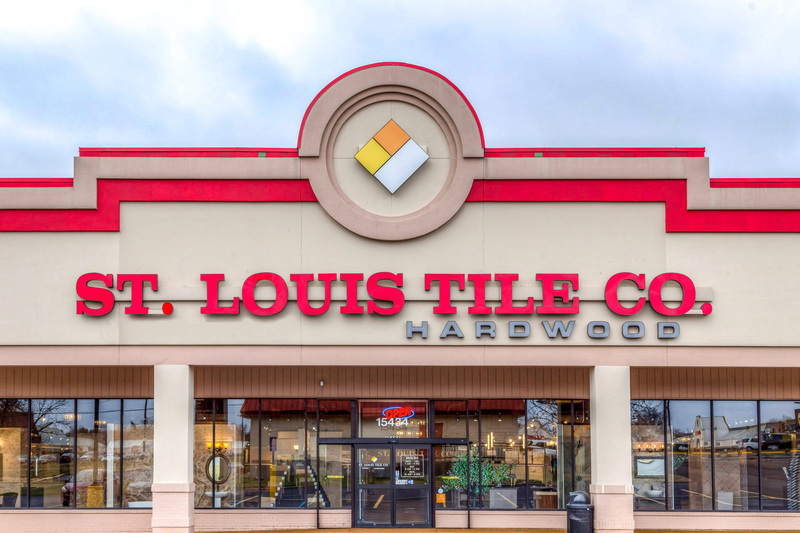 If you’re not sure, reach out to our experts at St. Louis Tile. We can help you secure all the details for a long-lasting design. Get the classic look of wood with the durability of tile. 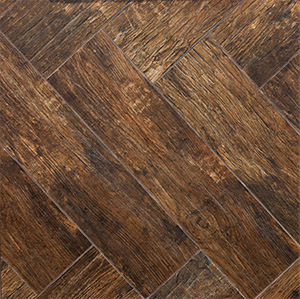 St. Louis Tile Designer Tip: When laying wood-grain tiles, be sure to break up the pattern so it doesn’t repeat. This will ensure that your floors more closely resemble authentic wood. With spring just around the corner, now is the perfect time to start planning your remodel. 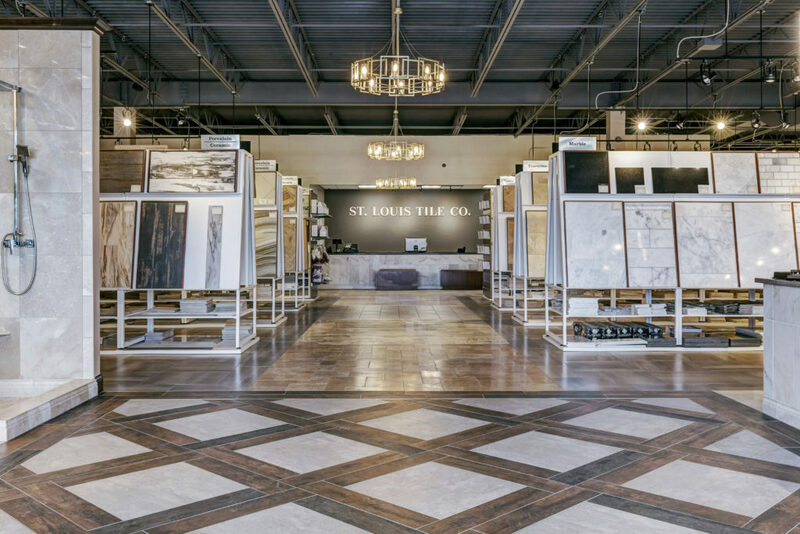 Visit St. Louis Tile’s vast showroom—we carry a large inventory of tile in stock—and let us help you discover the perfect ambiance for your new home or remodeling project. 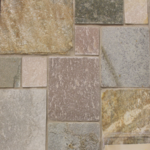 Visit our Ellisville showroom and see our vast selection of every tile style and material imaginable and get inspiration for your next project. 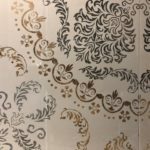 You’ll see scores of displays that demonstrate creative and beautiful uses for tile in every room of the house, and see the many hundreds of tile choices that are immediately available.